Recently the news reported a sad story about a family from Iowa killed in their room while they slept by what was suspected to be to a Carbon Monoxide poisoning. While not a common occurrence carbon monoxide leaks can happen at hotels, private vacation home rentals, and even at home. One simple item about the size of a pack of cigarettes can protect your’s and your family’s life. 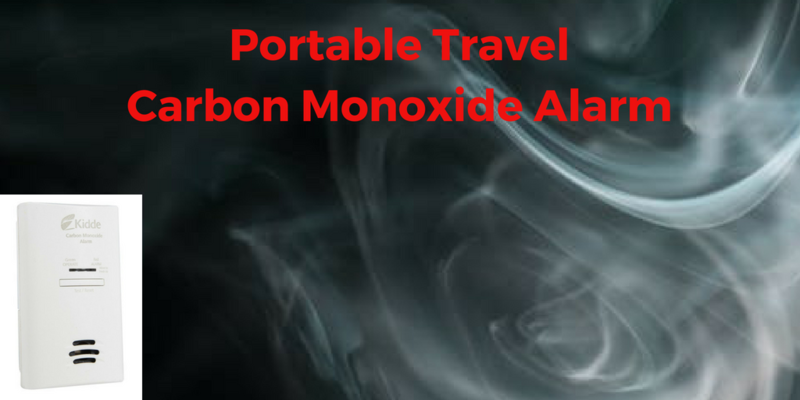 A travel smoke/carbon monoxide alarm is part of a smart traveler’s must-have items to pack. We suggest you keep it in your toiletries kit so it’s always ready to go and you don’t forget to pack it. Find one here for about $20.00. .. heck you’ll probably spend more on that poolside drink, so it is worth the investment. You can’t see it, smell it, or taste it; but carbon monoxide can kill you. Carbon monoxide (sometimes referred to as CO) is a colorless, odorless gas produced by burning material containing carbon. Carbon monoxide poisoning can cause brain damage and death. Because carbon monoxide is an odorless, tasteless, and colorless gas, it is known as the “silent killer.” Carbon monoxide is produced by some common household appliances in including gas water heaters.